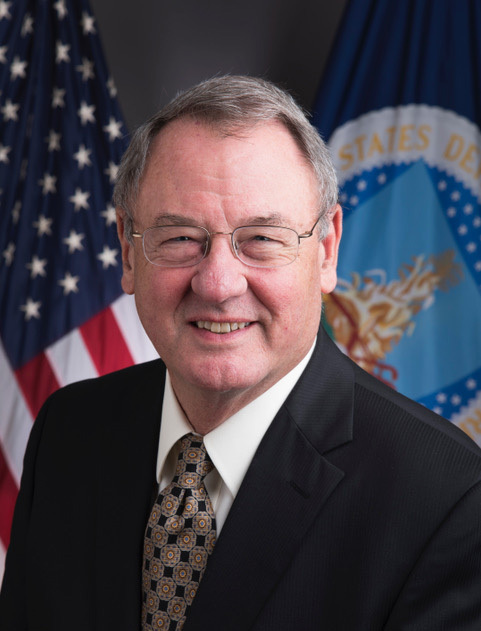 Jim became the US Department of Agriculture, Under Secretary for Natural Resources and Environment in the fall of 2018. He carries a wealth of experience in land management agencies, having served 35 years with the Colorado Forest Service, including as Colorado State Forester for 20 years. He then served as director of the Office of Wildland Fire Coordination for the U.S. Department of the Interior before becoming the Deputy Chief for State and Private Forestry in 2006, a position he held until retiring in 2016. A native of Colorado, Chantal’s early career included serving as the Director of the Women’s Business Office under Governor Roy Romer and as the Manager of Denver Parks and Recreation under Mayor Guillermo Vidal. She has worked in local governments on the front range and western slope, having served under two governors, three Denver mayors, and as a county administrator. Chantal currently serves the Department of Local Affairs as Director of the Division of Local Government, providing research, technical assistance, problem solving and expertise on community and economic development with a focus in local governance. She also oversees multiple unique state and federal grant programs, with four advisory committees distributing over $200M annually to strategically invest in local community development and resilience projects. Carlene Anders is mayor of the City of Pateros. She led the recovery efforts for the largest wildfires in Washington State history, which burned over one million acres and destroyed 800+ structures. Carlene was a wild land firefighter for the Department of Natural Resources and U.S. Forest Service. She had the distinguished honor to be one of the first women to smokejump in the State of Washington and continues to be a volunteer with her local fire district. Carlene is chair of the North Central Washington Economic Development District and vice-chairs the Okanogan Council of Governments and the county Transportation District. Tony has been with the National Weather Service for almost 16 years and is currently stationed at the Weather Forecast Office in Pueblo. He has a BA in Geology and a Master’s in Water Resources from the University of Wyoming. He spent most of his career with the National Weather Service; twelve years as a hydrologic forecaster in Tulsa, OK and then as Service Hydrologist in Pueblo. His time in Pueblo has been defined by fire and its aftermath. Southeastern Colorado currently has 3 burn scars that pose an immediate and severe flood hazard. Jeremy holds BA degrees in Geography, Evolutionary Biology & Ecology, and a minor in Geology from the University of Colorado. Following his graduation, he was employed as a forestry and GIS technician for Boulder County Parks & Open Space and Colorado State Parks before beginning work on his MSc degree in Forest Resources Management at the University of British Columbia within Dr. Nicholas Coops’s Integrated Remote Sensing Studio (IRSS). Travis Ball is a hydraulic engineer with the Seattle District US Army Corps of Engineers. He has served as Coordinator for the Washington Silver Jackets Team, an interagency group addressing the state’s flood risk priorities, for the last 5 years. After the record setting Washington wildfire seasons of 2014 and 2015, and the subsequent increase in flood risk in burned areas, Travis worked with federal, state, and local partners to form the Post-Wildfire Flood Committee. Though plenty of work remains, the group has collaborated in efforts to improve technical data, fill communication gaps, and increase flood risk awareness after wildfires. Lou is the National Burned Area Emergency Response Coordinator and the National Fire Ecologist for the US Fish and Wildlife Service. Prior positions include lead for USFWS Fire Program Analysis, Interim Branch Coordinator for NWCG, Assistant Fire Management Officer with the BLM in Boise, Idaho, and Zone Fire Management Officer with the USFWS Lou has been a fully qualified Situation Unit Leader since 2007. Lou has a B.S. in Forest Management from the University of Idaho and an M.S. in Forest Management from Utah State University. Dr. Batzli is a researcher and project manager at the Cooperative Institute for Meteorological Satellite Studies (CIMSS) at the Space Science and Engineering Center (SSEC) at the University of Wisconsin-Madison. With a background in geography, his expertise is centered on the integration and visualization of land, oceanic, and atmospheric remote sensing imagery and information. His team developed the “RealEarth” visualization platform to allow the merging of GIS data with near real-time weather animations. Steve is the State Hazard Mitigation Officer in the Colorado Office of Emergency Management. He served as the State Disaster Recovery Manager for four Presidentially declared Colorado disasters. Steve served as an elected official in Douglas County, including County Commissioner, Councilmember and Mayor of the Town of Castle Rock and Supervisor with the Douglas County Conservation District. Steve holds certifications in emergency management including FEMA’s Advanced Professional, Master Exercise Practitioner, and Professional Continuity Practitioner designations. Steve holds a Master of Public Administration degree in disaster management and has completed the Sloan School of Management’s (MIT) executive program in leadership and management. Jonathan Bruno – Chief Operating Officer, Coalitions and Collaboratives, Inc.
Jonathan has a Masters in Public Administration from University of Colorado and graduated from the Executive Leadership program at Yale University’s School of Forestry and Environmental Studies. He has worked closely with communities on forest health initiatives aimed at creating resilient forests and safer communities, as well as working to restore lands impacted from recent wildfires and natural disasters. With over 20 years within emergency services, as a safety officer for a search and rescue team and as a wildland fire fighter, he continues to work at the intersection of emergency response and community preparedness. Christina is a watershed scientist at Denver Water, working to inventory, protect, and improve the 2.5 million acre watershed in Denver Water’s collection system. She leads Denver Water’s innovative watershed management and planning efforts, including forest health investments. Christina manages the “From Forests to Faucets Partnership,” a $66 million agreement between Denver Water, the U.S. Forest Service, Colorado State Forest Service, and Natural Resources Conservation Service to improve the health of Colorado’s forests and watersheds. Christina holds a degree in Environmental Sciences, with an emphasis on water quality and public health. Dana has worked for the US Forest Service for over nineteen years, currently Olympic National Forest Hydrologist, Washington. He previously worked in the urban interface of Colorado Pike National Forest. He holds undergraduate degree in Hydrogeology from Rensselaer Polytechnic Institute, Troy, NY and Master’s degree in Bioresource Engineering from Oregon State University. Dana provides technical expertise managing watershed restoration and analyzing environmental effects from: wildfires, floods, landslides, roads, logging, grazing, mining and recreational uses. Dana has worked on the recovery of Colorado’s Hayman and Waldo Canyon Wildfires, as well as on fires in Washington, Oregon, Australia, Armenia, Georgia and Israel. John joined RenewWest in 2017, he has been instrumental in developing and deepening connections, including the identification of project site landowners, funding opportunities from philanthropic and non-dilutive sources, and the discovery of non-traditional capital sources. Prior to RenewWest, John was Director of Operations at the Impact Finance Center, a non-profit expanding the field of impact investing, Denver, Colorado. John worked as a futures trader/broker on the Chicago Mercantile Exchange. He received his BA in Communications and Business Administration from Michigan State University and he holds Financial Industry Regulatory Authority (FINRA) Series 3 and Series 30 Securities Registrations. Carol Ekarius – Chief Executive Officer, Coalitions and Collaboratives, Inc.
Carol is COCO Inc’s founder and CEO. She holds a Civil Engineering Degree from the UC Denver and has decades of experience in governmental and nonprofit management. She has over 20 years experience managing place-based organizations including the Coalition for the Upper South Platte. Carol is a freelance writer and the author of nine books. Zander is Executive Director of the Forest Stewards Guild and previously directed the Guild’s science program. His research supports on-the-ground implementation of ecological forestry and fire-adapted communities. Zander is a board member of Southwest Fire Science Consortium and on the leadership team for the Rural Voices for Conservation Coalition. He received his PhD from the Yale School of Forestry and Environmental Studies after working as a cartographer and spatial analyst with the US Geological Survey. John’s drive to improve the practice of ecological restoration stems from a passion for conservation. With experience from over 220 projects, John feels there is much to learn from the systems we aim to restore and from each other. His experience includes developing revegetation designs, soil amendment and erosion control specs, gulley stability and bank restoration. John co-authored Living Streambanks, a Manual of Bioengineering Treatments for Colorado Streams. Since 2013 John has been developing a design system for riparian and wetland restoration, and refining a Colorado revegetation matrix that enhances AloTerra’s ability to deliver high quality designs for our clients. Brett has over twenty-five years of experience in water resources planning and management including watershed planning and source water protection. Recent experience includes post-fire hydrology, hydraulics, and geomorphology work on debris flow in Montecito, CA, and multifaceted, direct experience post-Waldo Canyon fire. Brett holds B.S. Engineering Physics, M.S. Civil Engineering, P.E. (CO, Civil), Diplomate Water Resources Engineer, EWRI. Rich is a Senior Specialist for FEMA Region VIII in the Hazard Mitigation Assistance (HMA) program. He has been managing HMA grant programs for FEMA for the last nine years. Prior to that he managed HMA grant programs at the State level as a Recipient. He has extensive experience providing technical assistance to States and communities in both the pre-disaster and post-disaster setting. Mr. Hansen is one of many working to implement FEMA’s new post-fire hazard mitigation grant program (HMGP-Post Fire). Steve is the Regional Environmental Officer, Region VIII Federal Emergency Management Agency. He specializes in historic preservation as an architectural historian, historian, and archaeologist; and since 2006 he has applied his knowledge to assist in disaster response, recovery, and mitigation. Steve provides technical guidance and oversight on environmental and historic preservation issues for FEMA’s various grant programs. He holds a bachelor’s degree in history and classical languages, and a master’s degree in public history and preservation from Rutgers University. Lori has 10 years of experience as a paramedic and firefighter, and close to 20 years of experience in emergency management at local and state levels. She currently works with Larimer County Emergency Management. She assisted Park County following the Hayman Wildfire and managed the recovery for the High Park Wildfire in Larimer County. Lori lead a resilience effort in Larimer County that has received national recognition. Nick Holloway has been with the Missoula County Office of Emergency Management since 2012. He has an active role in the emergency operations center and joint information center. Nick developed and coordinates Missoula County’s Volunteer and Donations Management program and facilitates Missoula County’s Community Organizations Active in Disaster program, both were activated during the 2017 wildfire season and the 2018 Missoula County Floods. Nick also serves as a public information officer on the Western Montana Incident Management Team, a type 3 all-hazards IMT. As a PIO, Nick has deployed locally, regionally and nationally on wildfires, winter weather emergencies, flooding and a hurricane. Kevin is the Section Chief for the Watershed and Flood Protection Section of the Colorado Water Conservation Board, since 2003. Duties include flood mapping studies, engineering project management, grants management, general technical assistance, and public outreach regarding the flood hazards in the state. Recent programs include Emergency Watershed Protection Program, with NRCS, and Colorado Hazard Mapping Program, both in response to the 2013 floods. Kevin has a bachelor’s degree in Civil Engineering from Washington State University and a master’s degree in Civil Engineering from the University of Colorado – Denver. He is registered as a professional engineer in the states of Colorado, California, and Louisiana. Katie is a Professional Engineer in CO, CA, and WY. She was a Fulbright Fellow in Flood Management at Delft University of Technology in The Netherlands, and holds a Master of Science in Civil Engineering from the University of California at Berkeley. Katie has fifteen years of experience in river engineering and geomorphology, specifically related to natural disaster mitigation and recovery. She was a recipient of the Colorado Association of Stormwater and Floodplain Managers 2018 award for Engineering Excellence for the execution of the 2013 Colorado Floods EWP Program. Luke Javernick is the Executive Director of the nonprofit River Science who’s mission is to “achieve greater conservation impacts through education and technology”. Luke has a doctorate in civil engineering, recently completed a Marie Skłodowska-Curie fellowship, and has several years of experience in river restoration. Luke’s past research and continued work at River Science focuses on quantifying and improving river restoration and management through greater data and information. Dave Jones – StormCenter Communications, Inc.
Dave is the founder and CEO of StormCenter Communications, Inc, an AMS fellow, and former NBC4 broadcast meteorologist in Washington DC. Working with NASA in the SBIR program, Dave’s company developed patented software, GeoCollaborate®, to allow states, federal agencies, and the private sector to share trusted geospatial data in real-time across any platform or device to enable collaboration and sharing of data when it is most needed. Various agencies and organizations are now looking to use GeoCollaborate® to improve situational awareness and communications in response to and during wildfires, flooding and other emergency or developing hazardous conditions. Jason Kean is a research hydrologist with the U.S. Geological Survey. His research focuses on the processes controlling debris-flow initiation and growth after wildfire. This research includes a field component that obtains direct measurements of debris flows in natural settings, a modeling component that seeks to explain the observations, and an applied component that focuses on assessment of debris-flow hazards. Joe is the State Design Engineer for the Natural Resources Conservation Service (NRCS). He is the Washington State NRCS technical lead for hydrology, hydraulics, aquatic organism passage, and stream restoration. Joe has a Bachelor of Science degree in Agricultural Engineering from Washington State University and is a licensed Professional Engineer in the State of Washington. He started his career with the NRCS, then the Soil Conservation Service, in 1987 as an engineering student intern and has spent his entire 30+ year career providing engineering assistance to landowners for NRCS in Washington State. Lesley Mace, an Engineer for the Colorado Department of Transportation, has over 25 years experience developing sustainable transportation solutions that reflected both community and environmental stewardship values. Lesley served as the Project Manager for the Waldo Canyon Fire and post flooding recovery efforts. She was instrumental in implementing $11M of flood mitigation projects along the US 24 corridor while closely coordinating with impacted residents, businesses and local agencies. Kurt is a Senior Research Scientist for the Colorado State Forest Service and an Associate Professor in the Department of Forest and Rangeland Stewardship at Colorado State University. He received both his B. S. and M. S. Degrees in Wood Science and Technology from Colorado State University and a Ph. D. in Forestry and Forest Products from Virginia Tech. He is currently conducting a variety of research projects and extension work related to forest products and wood utilization in Colorado and the Rocky Mountain Region. Darryl was born and raised on the Navajo Nation and after five years in the Navy, he attended the School of Forestry at Northern Arizona University. He has worked as a Biologist, Forestry technician, Environmental Coordinator, and eventually the Bureau of Indian Affairs Post Wildfire Recovery Director. Darryl has been involved with Burned Area Emergency Response (BAER) since 2001 as a Team Leader, Deputy Team Leader, Implementation Leader and Environmental Specialist. He has worked for the National Interagency Fire Center since January 2007. Darryl is married to Myra Mike and they have two daughters, Tanya (25) and Ashley (21). Seth is the Principal Hydrologist at Lotic Hydrological, a consulting firm based in Carbondale, Colorado that is dedicated to providing clients with data tools and interpretations necessary to inform science-based decision-making in public policy development and natural resource management. Seth specializes in hydrological modeling; stream characterization; deployment and operation of remote data collection and management systems; data visualization, and development of water management master plans. He received his M.S. in Land Resources and Environmental Sciences from Montana State University and his B.A. in Environmental Studies from the University of Colorado, Boulder. Mike is a Senior Water Resources Project Manager for Aurora Water specializing in watershed protection issues. He has more than 30 years of experience in environmental restoration and water resources. Mike is currently participating in collaborative approaches to watershed protection with local, state and federal partners around the State of Colorado. Mike is a professional geologist and holds a B.S. in geology from Fort Lewis College, an M.P.A in Management from the University of Colorado Graduate School of Public Affairs, and an M.S. in Mineral Resources Ecology from the Colorado School of Mines. Laura Myers, Ph.D. (Criminology), is Director and Senior Research Scientist for the Center for Advanced Public Safety at The University of Alabama, Tuscaloosa. Dr. Myers has conducted multiple studies and service assessments about public behavior and emergency response networks regarding various disaster events, such as the public’s response to severe weather and hurricane events and how to convey warning information in extreme events. Dr. Myers has evaluated disaster and emergency warning modalities, including NOAA Weather Radio, mobile apps, alert notification systems, WEA alerts, sirens, and other tools to determine how they function and how they can be refined to produce better warning dissemination. Brad is a forest hydrologist with 30 years of experience working in Colorado’s watersheds. For the last 19 years he has focused on watershed hazard assessments and pre- and post-wildfire planning for water supply agencies and collaborative groups, completing more than 15 wildfire/watershed assessments in Colorado and Wyoming. Currently, Brad is working with collaborative watershed groups on pre-and post-wildfire planning, watershed protection and actions to increase watershed resilience. Working with water providers, he has led watershed recovery efforts from major wildfires, including the Hewlett Gulch and High Park Fires of 2012, and is currently working on post-fire recovery from the Spring Creek Fire. A survivor of the 1991 Oakland Hills Firestorm and long time emergency preparedness advocate, Susan Piper has close to 45 years of experience in public relations, marketing communications, and community organizing. She is a graduate of the Medill School of Journalism at Northwestern University and earned a Master’s in Public Health from the University of California, Los Angeles. Now retired, she has been an ardent proponent of emergency preparedness and wildfire prevention. She currently chairs United Policy Holders and the Oakland Firesafe Council. Through almost 20 years of working in various science disciplines, Tammi has married together two of her loves: geographic information science (GIS) and the natural sciences. With her background in geology, GIS, and Colorado water resources she has been able to provide data analysis and creative geospatial data display to a multitude of science professionals including ecologists, hydrologists, geophysicists, environmental consultants, water-centric non-profits, and hydrogeologists. From geologic cross-sections to wetland impact maps, Tammi puts her passion and love of nature into every piece of data she comes across. Susan has served as New Mexico’s Forest and Watershed Health Coordinator since 2006. Her career spans three decades working in natural resource management for New Mexico State Forestry as well as for local governments and conservation districts. Susan leads the State’s multi-entity Forest and Watershed Management Coordinating Group. Her office helps foster collaborative restoration efforts in high priority landscapes statewide. In recent years, her focus has expanded to include finding ways to deal with post-fire impacts on natural resources and communities. Susan is a member of the Cohesive Strategy Western Region Committee. Bob joined the Ventura County Fire Protection District as a volunteer firefighter in 1976. He became a full-time firefighter in 1980 and became Fire Chief in 1998, retiring in 2012. During his career, Bob continued his formal education and became focused on the wildland fire problem due to its dynamic nature and challenges. Bob was part of the development team for the National Wildland Fire Cohesive Strategy, he later became the Nevada State Forester in 2015. Bob now has a fire service consulting practice and performs dispatch studies, after action reviews, development studies, personnel mentoring and financial reviews. Katherine is the Hydrology Program Manager for the National Weather Service’s Western Region. She works with the NWS field offices and a wide variety of stakeholders, supplying water resources data and forecasts. Following several years of large and record breaking fire seasons across the western US, her focus has shifted to post-wildfire flood and debris flow risk; from community outreach and education to working on Burned Area Emergency Response (BAER) Teams. She leads the NWS’ Post-Wildfire Hydrology Working Group. She has B.S. in Civil Engineering and worked in the engineering field for several years prior to joining the NWS. Steve is the Soil/Water/Environmental Compliance and Protection Manager for Pike and San Isabel National Forests and Comanche and Cimarron National Grasslands. Recognition for projects he managed includes Rocky Mountain Region Sustaining Our Nations Forests 2015, Restoration and Resiliency 2014, Grassland Health Partner of the Year 2010, Watershed Work of the Year 2009, American Fisheries Challenge 2011, National Public Land Foundation Landscape Stewardship 2010, BLM National Hardrock Mineral Environment 2010, Colorado Riparian Association Excellence in Riparian Management 2007, Presidents Volunteer Service Award 2007 and National JCPenny Golden Rule Award 1998. His recent BAER experience includes, Waldo, Hayden, Junkins, Weston and Spring Creek. Garry has been the Recovery Manager for Boulder County since 2010 and has worked on two wildfires and the 2013 flood. He helped convene local, state and federal representatives after the 2013 Flood to identify lessons learned, resulting in new legislation in Colorado to update the Colorado Emergency Disaster Act and create the State Resilience Office. Garry helped form BoCo Strong, a community resilience building collaborative in Boulder County. Paul holds PhD in geological engineering and is currently a professor at the Colorado School of Mines. He has 24 years experience as a researcher and professor, and 6 years experience in the engineering consulting industry, addressing problems related to geologic hazard and surface and ground-water issues. He has published a book and over 20 scientific papers on debris flows, and conducted nearly $1M of research on the topic. He is a Fellow of the Geological Society of America, past chair of their Engineering Geology Division, and past President of the Association of Environmental and Engineering Geologists. Steve holds a degree in Agricultural Education from Southern Illinois University. He taught high school Ag. Ed. for 4 years, farmed in Illinois for 5 years. Steve and his family moved to the San Luis Valley in 1983 and bought a farm. After 22 years of raising potatoes, barley, wheat, and canola on 2000 acres, and 8 years on the local school board, he retired to Northern Colorado. In 2005 he was hired as a roadside weed technician in Boulder County, and two years later promoted to the position of Weed Management Coordinator for Boulder County Parks and Open Space. Paul is an engineer and certified floodplain manager with the Corps of Engineers in Portland, OR. Paul has been with the Corps since 2009 and has been the Silver Jackets coordinator for Oregon since 2015. Paul also serves as the District’s floodplain manager and manages the federal program responsible for helping communities with flood risk hazards. Before working for the Corps, Paul worked as a consultant engineer in Texas, Arizona, and Colorado. He received his undergraduate degree from Texas A&M University and a Masters of Engineering from Colorado State University. Mark is a native of Colorado Springs with a bachelors from the University of Colorado and a Juris Doctorate from the University of Denver. He leads Colorado Springs Utilities’ Watershed Planning group, including source water protection and forest management/wildfire mitigation programs. Mark supported Colorado Springs Utilities’ recovery efforts following the 2012 Waldo Canyon Fire, including post-fire condition assessment, development and implementation of post-fire mitigation projects, and related permitting and regulatory support. Mark participated in the development and passage of SB15-212, which established that post-wildland fire facilities appropriately constructed to address post-fire conditions do not cause material injury to vested water rights. Bill completed 23-year career in the Air Force in 2000, providing weather services to worldwide military operations. He has been supporting NOAA satellite programs in a variety of areas of responsibilities. In 2013, he developed multi-agency initiatives to provide tailored satellite products in response to environmental crises such as river jam flooding and forest fires. He manages three initiatives including the River Ice and Flooding and the Fire and Smoke initiatives. Through these initiatives he interacts closely with developers and users to ensure JPSS data and products are optimized in their operational applications in support of worldwide disasters. Theresa is the Recovery Manager for Coalition for the Upper South Platte and Arkansas River Watershed Collaboration, with 20 years of experience. She has worked on recovery from large and small fires in Colorado, beginning with the Hayman Fire. Theresa provides assessments, to design oversight to project management (hand crews and heavy machinery) and flood/ debris flow awareness. Her role has been to predict, very early on, what will happen when the fire scar experiences a flash flood. Newspapers have lauded Theresa as a “Fear Monger” and “Clairvoyant.” Recovery is best accomplished with a team effort. Dr. Cody Stropki is a Watershed Scientist and Certified Fire Ecologist for SWCA Environmental Consultants in Albuquerque, New Mexico. He received his PhD in Watershed Management and Hydrology from the University of Arizona in 2011. With 16 years of professional and academic experience in the Western U.S., his focus is geared toward post-fire restoration, riverine restoration, riparian restoration, and forest restoration. Dr. Stropki has authored or coauthored more than 25 technical and peer-reviewed publications, ranging in topics from wildfire effects on natural resources to community wildfire protection plans. Aaron Sutherlin – Matrix Design Group, Inc.
Aaron has over sixteen years of experience in water resources engineering. His background includes design and construction working with channel stabilization, wetland restoration, stormwater infrastructure, and irrigation and drainage. Aaron obtained a B.S. in Biological Systems Engineering from Texas A&M University, a Graduate Certificate in Stream Restoration from the University of Washington and has completed all levels of Rosgen’s Hydrology Short Courses. As Water Resources Project Manager with Matrix Design Group, Inc. Aaron directed the design and implementation of stabilization projects within and adjacent to the Waldo Canyon burn area. Christopher Tarantino is an international speaker and trainer, as well as the CEO of Epicenter Media & Training. He is a certified Crisis Management Communications Professional, a recognized Master Exercise Practitioner, and has served in a variety of roles at every level of government. Mr. Tarantino’s team specializes in training, exercises, and support services for the integration of technology and next-generation communications in public safety and emergency management. He has trained thousands of emergency management professionals in more than 38 different states in the U.S. and frequently speaks across North America on disaster response, emerging technology, and risk communications. Janelle is a Fisheries Biologist for the Pike and San Isabel National Forest, Cimarron and Comanche National Grasslands. She covers the Arkansas Watershed from Leadville out to western Kansas. Her passion is the protection and recovery of native fish and wildlife.